Hyderabad's Rajiv Gandhi Stadium will remain as the standby venue if the impasse with regards to three closed stands at the Chepauk is not over. 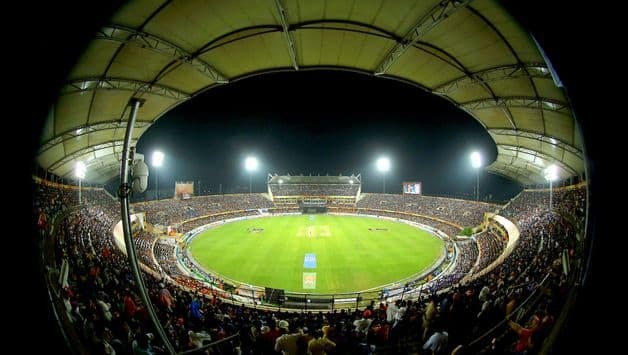 Hyderabad’s Rajiv Gandhi Stadium will remain as the standby venue for the Indian Premier League‘s play off and the final on May 12 if the impasse with regards to three closed stands at the Chepauk is not over. The Tamil Nadu Cricket Association (TNCA) has not been able to procure fit certificate for three stands I, J and K from the local municipal corporation since 2012. 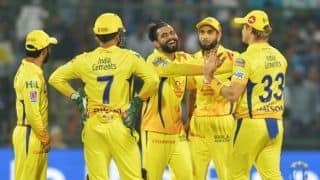 “We will have discussions with TNCA as we don’t want to deprive CSK their right of playing at home. But three empty stands is an issue. Hyderabad and Bangalore are the two stand by venues for two play-offs, Eliminator and final,” a senior BCCI official told PTI on Monday. It was also learnt that CoA has asked the steering committee of Players’ Association to expedite process. “The Players’ Association is expected to take shape in next two weeks. The four member committee has been told to expedite process,” the official said. The BCCI has also decided to invite fresh tender for title sponsorship of domestic tournaments and international games in India.